Wintertime can mean a lot of running in the dark. I found a great article from active.com about Tips For Safe Night Running. ** Definitely for women runners we should vary our routes! I met up with a local running group last night for a workout and the meeting time was 6:30 PM. Yep, it was super dark for our run. This really made a difference in being seen at night. I immediately realized that I was not putting safety first during my early morning and night runs and have ordered some for myself. 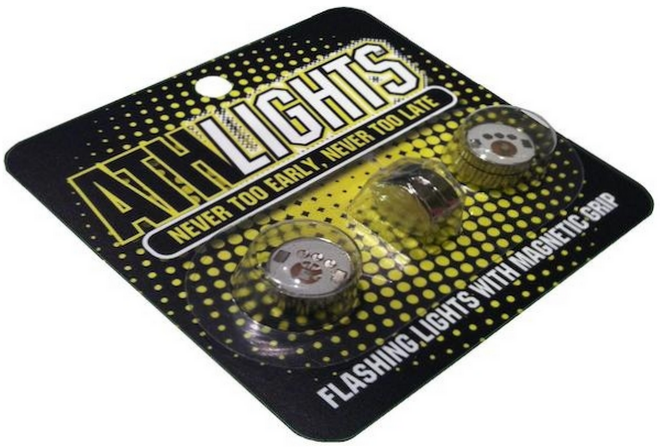 These lights are also very affordable - you can buy a 2 pack for $9.99! What lights/reflective gear do you use for safety on the roads for early morning or night runs?